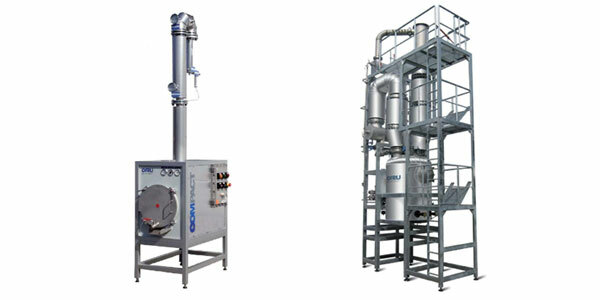 OFRU developed a new approach of distillation, allowing, in a definitely easier way than with the columns , much heavier to manage, to leave in an entirely automatic and continu way two different products from only one mixture. The application of this system on their existing range allows them, for example to leave water out of the polluted solvent with a purity of 99.9%. This system allows too to separate two different products on a continuous way. +- 800 l/hr, dépending on solvent caracteristics.